UFC lightweight Nate Diaz hasn’t competed in MMA since losing a majority decision to rival Conor McGregor at UFC 202 in August of 2016. Stockton native said previously that he’s done taking anything that’s offered to him and instead he’s only focused on the hefty paydays and the top opponents. Younger Diaz is more than willing to return to the UFC Octagon if the promotion offers him a big-money fight. Back in March, Nate said a trilogy fight against former two-division champion Conor McGregor could bring him back to UFC, but it seems like the talks are off the table. 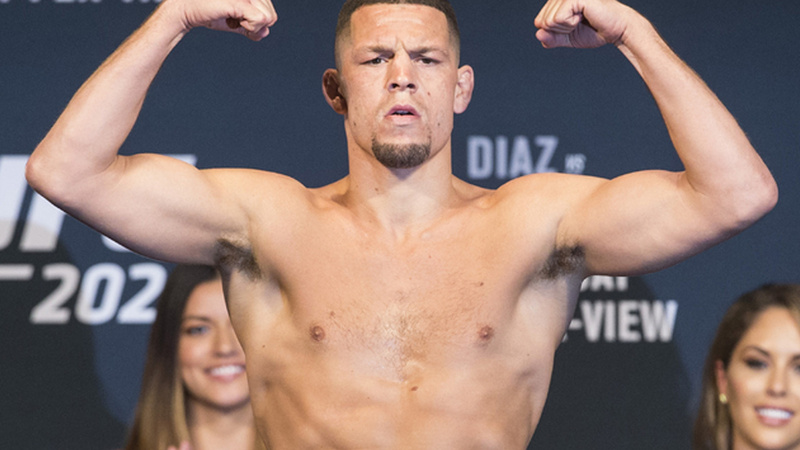 Nate Diaz was in attendance at Saturday’s Bellator 199 event at the SAP Center in San Jose, California. After the event, Diaz spoke with MMAJunkie, where he expressed his desire to make a comeback, but none of the opponents in the promotion interests him including Eddie Alvarez and lightweight contender Kevin Lee. Meanwhile, Diaz is in headlines for a return against former UFC welterweight and middleweight champion Georges St-Pierre in a lightweight contest. If this fight materializes, it will mark the St-Pierre’s 155 lb debut. ”There was a fight I asked them for, and now that that fell through, we’re back to square one,” he admitted, although he wouldn’t reveal who he was talking about. It’s certainly not Georges St-Pierre, who UFC president Dana White floated as a possible opponent for Diaz in August. There’s no question that Stockton star has become one of the UFC’s biggest names in recent years. But is the Diaz one of the promotion’s top, PPV draws? If he’s not fighting UFC’s cash cow, Conor McGregor? Share your thoughts and lets us know if you’re interested in a trilogy between Diaz and Mcgregor?